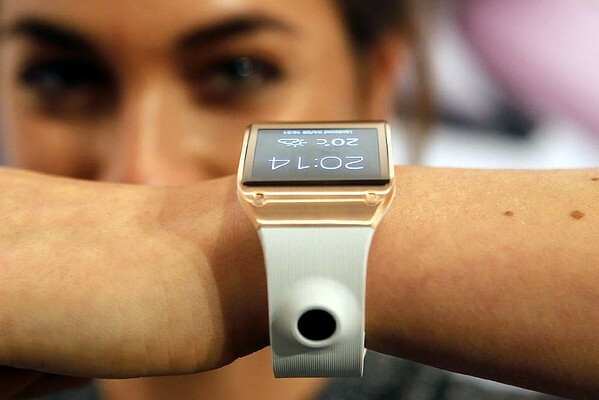 Recently samsung has announced the two big gadgets Galaxy gear Smartwatch and new Galaxy Note 3 in an event New York City Times Square and also in Berlin. So what is in the new future wrist watch ? Here are the full features of samsung smartwristwatch. First of all it's an elegant watch design all male/female put this on their hands its for unisexual, the screen size is 1.63 inches + Super AMOLED display, Inbuilt a 1.9-Megapixels camera for capturing photos via smartwatch and you even shoot 720p videos, a speaker on buckle, two microphones, a single-core 800MHz Exynos processor which is more than enough in a digital wristwatch And yes it will available in six awesome colors. In galaxy gear Smartwatch runs the latest version of Android 4.3 which enables Bluetooth. 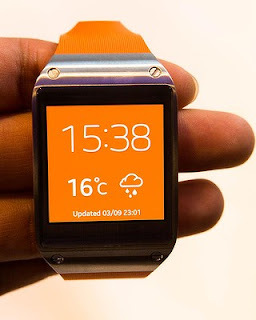 The smartwatch will be available in more than 140 countries with the galaxy Note 3 on 25th September. We think this will be going a big creation of samsung. The Gear Smartwatch cost $299 US Dollar. It is an absolutely premium quality watch with stainless steel beautiful front, like you see in this picture the camera lens on the rubber strap of the smartwatch which can easy to click some shots and also shown the time as well as the current weather.